LORD ITILL PRODUCTIONS (BRONX RECORDING STUDIO) | IF IT DON'T MAKE DOLLARS! IT DON'T MAKE SENSE! 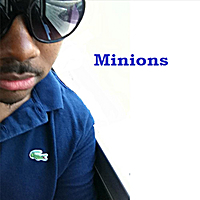 | Buy Music : THE REAL ADONIS "MINIONS"
This song is one of my favorites from the LIBB collection (www.libbproductions.com) the sound changes continuously and the beat pattern is made for the club. More importantly, it satirically addresses the issue, of stunners and fronters in the club trying to buy their way through attention by becoming someone else... A MINION! LOOK FOR MORE BY THIS PRODUCER AND CHECK HIS PAGE OUT ON THE POLYNATION ....yall know its LORD ITILL on the BEATS! !.